Over 200 images from different parts of India, from different times, each in a different style. 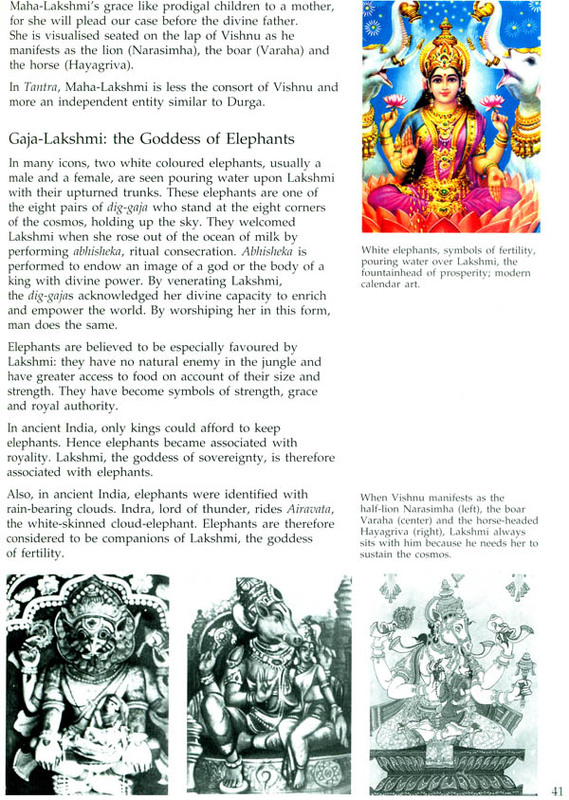 Description of rituals, temples, and festivals dedicated to her. Philosophical and metaphysical thoughts that make her worship significant even in modern times. 108 names of the goddess that hold the promise of material fulfillment. Salutations to the goddess of wealth, food, property, children, health, happiness, power, beauty, luck and sacredness, who sits bejeweled on a dew-drenched lotus, holding in her hand a golden pot overflowing with grain and gold, who is entertained by the songs of elephants in rut, who is the strength of the cosmic-king Vishnu, the mother of the god of love, whose eyes hold the promise of contentment and fulfillment, who is restless but generous to all those who adore her, who is the earth-cow offering love and nourishment to all. Dr. Devdutt Pattanaik (b. 1970), MBBS, graduated in medicine from Grant Medical College, Mumbai, and went on to specialize in the field of medical writing and health communication. With a passion for mythology, he topped the Mumbai Univercity course in comparative mythology (PGDCM) and has published four books as part of the introduction series: Shiva: An Introduction; Vishnu: An Introduction; Devi: An Introduction and Hanuman: An Introduction. His articles have been published in Parabola, the Times of India 'Speaking Tree' and in guest columns of the New Indian Express. His unorthodox approach has been widely appreciated. As part of Sabrang, a cultural organization that demystifies the arts, Dr. Pattanaik has lectured extensively on the relevance of mythology to modern man. Dr. Pattanaik lives in India. What is the purpose of life? The answer according to the Veda is fourfold: dharma, artha, kama and Moksha, which means righteous conduct, economic activity, pleasurable pursuit and spiritual practice. Economic activity has been given great importance in the Hindu scheme of things. It is second only to dharma, that ensures social stability. With social stability comes prosperity and with prosperity comes pleasure. To drive this idea home, ancient seers visualized a goddess called Lakshmi. She embodied the principle of artha. 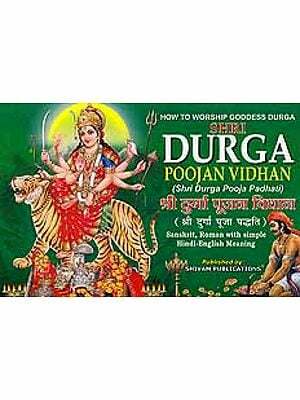 She sat at the feet of Vishnu who embodied the principle of dharma. 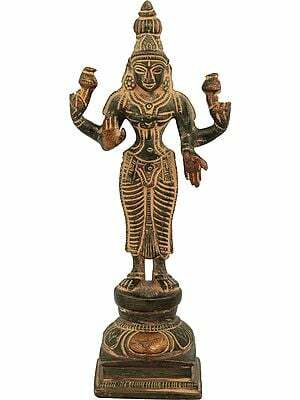 Her son was Manmatha who embodied the principle of kama. 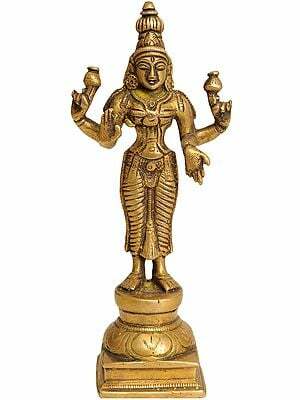 Lakshmi is one of the most popular Hindu goddesses. 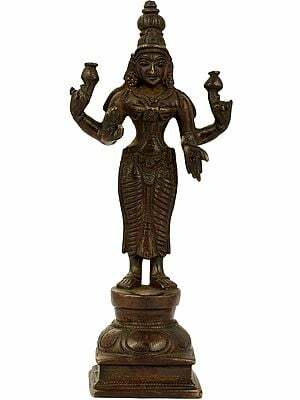 Her stories, symbols and rituals are widespread and they contain the Hindu understanding of wealth. Unfortunately, these were passed down orally within the household tradition. They were neither compiled nor commented upon in a single scripture. As a result there is great misunderstanding on how Hindus regard wealth. Some believe that Hindus look down upon wealth. This belief stems from the popularity of Indian monastic philosophies like yoga and Vedanta. Others believe that Hindus think wealth is evil. 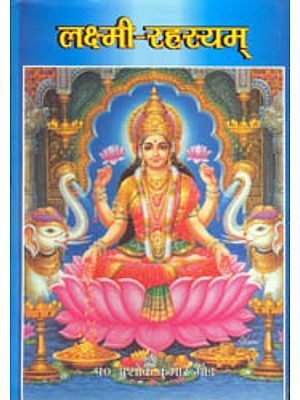 This belief is based on the association of Lakshmi with asuras and rakshasas, the 'demons' of Hinduism revere Lakshmi as the foundation of things material, they also believed she was vital to all things spiritual. Only by truly appreciating the nature of Lakshmi can one hope for Moksha, release from the cycle of rebirths. A study of Lakshmi throws light on the fact that there is no concept of evil in Hinduism. Evil is a Judeo-Christian-Islamic concept to explain negative acts that are unholy, inexplicable and unredeemable. In the Hindu scheme of things, where everything is governed by the law of karma, all events are essentially reactions. Nothing is spontaneous. Everything is a manifestation of God. The reason why Lakshmi is closely associated with asuras and rakshasas has nothing to do with evil. It has everything to do with the movement of wealth between realms above the ground and below, between wild nature and domesticated culture. Although eternal enemies of gods and humans, neither the asura nor the Rakshasa is evil. Asuras are subterranean forces that have the power to regenerate wealth, hence necessary components of the cosmos (without their help, the devas cannot Churn Lakshmi out of the ocean of milk). However, since they hoard this regenerated wealth, they have to be killed by the gods who release and redistribute wealth. Rakshasas are barbarians who follow the law of the jungle: might is right. They do not share wealth with the weak and do not respect the rights of other as demonstrated by the rakshasa-king Ravana when he abducted Rama's wife Sita. Rama has to kill Ravana and release Sita in order to establish the law of civilization: the weak have rights and the strong have duties. Asuras and rakshasas are demons, not because they are evil, but because they hoard and plunder wealth, hindering the normal flow of wealth. Since wealth has to flow, Lakshmi is given the rather unflattering title of Chanchala-the restless one. She never stays with demons for long, she does not stay with the gods either. Even Indra, king of devas, loses the grace of Lakshmi when he overindulges with wine and women at the cost of his duty, earning the ire of sages. Thus the cycle of lie-bestowing wealth - represented by the never-ending battles of the gods and demons known as deva-asura-sangrama - continues with its alternating successes and failures. Having understood the nature of wealth, ancient gurus prescribed the following formula to become rich: do not obstruct the flow of wealth, do not hoards, do not plunder, simply ensure wealth flows continuously in the desired direction. This prescription Shri-pada, Lakshmi's footprint, on the threshold of the house pointing inwards. 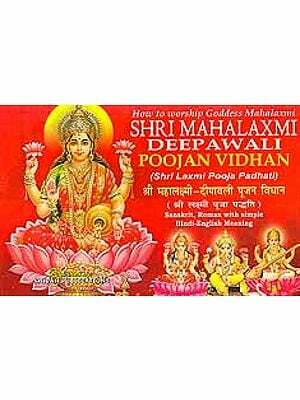 Such insight into the traditional understanding of wealth can be gathered from the stories, symbols and rituals of Lakshmi. 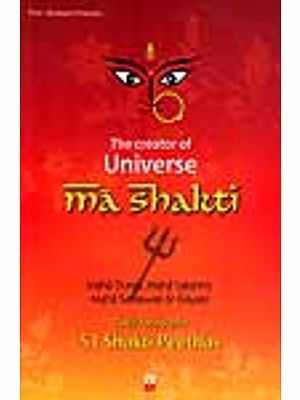 This book is an attempt to compile and understand this fascinating mythology of Lakshmi in a systematic manner. It is not an in-depth study, but simply an introduction for the lay reader. For those seeking a deeper insight there is a select bibliography at the end of the book. It is hoped that the book is comprehensive, clear, cohesive and concise enough to make Lakshmi walk in the desired direction-into all our lives.